Your Boston personal injury lawyer understands that assumption of risk is a commonly asserted defense to negligence actions. Gregory v. Cott, an appeal argued before the California Court of Appeals, involved a healthcare worker who was injured by an Alzheimer’s patient in her care. 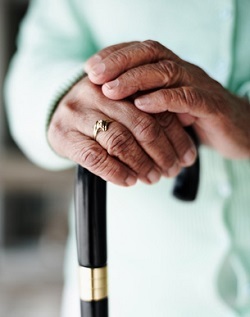 The husband of an 85-year-old woman who suffered from the advanced stages of Alzheimer’s disease hired an home healthcare agency to provide care for his wife. The plaintiff was assigned to treat the patient in her home. The plaintiff had worked with patients suffering from the disease in the past and had been trained in caring for people with Alzheimer’s disease. According to the record, the plaintiff was aware that late stage patients are prone to violent physical outbreaks. She knew that patients were prone to biting, kicking, and scratching those around them. Her responsibilities including bathing the patient, transporting her, and she was also to help perform light housekeeping. The plaintiff was washing dishes on this day and was cleaning a large kitchen knife. Her patient hit her from behind and reached into the sink. The plaintiff’s fingers were pushed onto the knife blade, which cause her to drop the knife on her wrist. Several of her fingers lost feeling after the incident, and she had ongoing pain in the rest of her hand. After receiving workers’ compensation, the plaintiff sued for negligence under a premises liability theory. The defendant moved to dismiss the case on grounds of assumption of risk. The trial court granted the defendant’s motion to dismiss and, on appeal, the court affirmed the trial court’s order. First, it should be noted that, in the Commonwealth of Massachusetts, the Supreme Judicial Court has long since done away with the distinctions between invitees and licensees in premises liability cases. A homeowner has a general duty to act as a reasonable and prudent person to prevent foreseeable injury to foreseeable plaintiffs. Assumption of risk is a valid defense. Assumption of risk is a doctrine of civil law that can be used as defense in both negligence cases and intentional tort cases. Basically, if you voluntarily engage in conduct that you know to be risky, you cannot sue if you are injured in a foreseeable manner. In Gregory, the plaintiff knew the risk of working with Alzheimer’s patients, specifically that they were prone to violent physical outbreaks. She assumed the risk that a patient would attack her when she took the job and is prevented from suing based upon this foreseeable incident. Obviously, the exact nature of the injury involving a kitchen knife was not foreseeable but being pushed or shoved was foreseeable.